Dr Cynthia Maung has been awarded the 2018 Toux Prize for her work delivering health care to displaced, refugee and migrant communities. Dr Cynthia received the honor at an award ceremony in Washington DC U.S. Dr Cynthia founded the Mae Tao Clinic on the Thai Burma border in 1989 after fleeing the Burma military crackdown in 1988. From its humble beginnings in 1989 the Mae Tao Clinic has now expanded from a single house to being able to provide services that include child health, general primary care, reproductive health, non-invasive surgeries, HIV/TB screenings, and vaccinations. The clinic offers patient in-service treatment, an average of five babies are born every day at the Clinic. The Clinic initiated a birth registry where every newborn is registered with the Thai government – registered babies are not regarded as Thai citizens, but are entitled to receive free health care and education in Thailand. 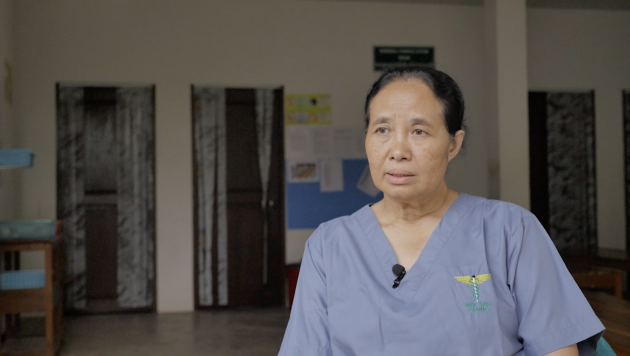 Ms Kanchana Thornton, director of the Burma Children Medical Fund, said Dr Cynthia deserved the Roux Prize for the essential healthcare she delivers to the people of Burma.